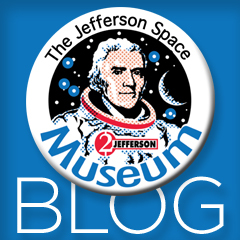 Ed White's Historic Space Walk - and Tom was there! One of my favorite images of Ed White's historic space walk -- you can almost reach out and touch him. Jim McDivitt took this picture, from the open hatch of their Gemini capsule. If you look closely enough at Ed's visor, you can see the refelction of their ship. An amazing shot. And Tom was along for the ride! Watch a video of the historic launch and EVA -- with audio starting a few seconds into this clip with the launch! Just click on the video below, and turn up your volume.